“Who is your favorite writer?” – This is one of those common questions I often dread. It is innocent enough, surely anyone who reads gravitates towards one writer or another? And yet, it is so imposing, so devastatingly powerful to not only choose a favorite author but to declare such to the world. There is such an unacknowledged imposition in such a statement: to declare a favorite author seems to paint a whole new identity, layer upon layer, on top of the speaker. Nonetheless, it doesn’t seem like a question that can be ignored. It follows any reader, it won’t leave them alone. Hence, why I have chosen to start with this infuriating question. For me, my favorite writer is Maurice Blanchot. To some, this will just reveal (or confirm) a deep-seated pretention – “why of course he would choose one of the most obscure figures in French literary criticism! Not something a normal person would choose! Not Austin, or Marquez, not Rowling! Couldn’t even bring himself to choose a more popular inscrutable author like Derrida or Sartre or Nietzsche!” To this, I say: fair enough. But, (there’s always a “but”) while I may be guilty of such offenses, I will defend to the death the writing of Blanchot. Regardless of the problems of his life, particularly his early political beliefs, I say that Blanchot’s writing is not only beautiful, even (or especially) when it is seemingly obscurant, but necessary. Derrida once said “Blanchot waits for us still to come, to be read and reread …. I would say that never as much as today have I pictured him so far ahead of us.” When I read Blanchot, I can feel this strange sensation of catching up while still falling behind. Blanchot’s writing, his theories (such as they are) of literature, his exploration of systems of thought, his haunting fiction, all seems to have been written for a time that is yet to come. It seems to offer a glimpse of what is possible and impossible. We explode when we read his works. We, the readers, are taken to task – the task of reading. Blanchot brings reading and writing into the world, and yet it feels separate. He explores, unflinchingly, the paradoxes of writing, seeking for its possibility. Just trying to write about Blanchot feels impossible. Christopher Fynsk points out that the texts of Blanchot (as well as contemporaries like Deleuze), “are not positions. If you read them as positions you reduce them rather severely.” Furthermore, “Blanchot had such an aura about him as a writer and as a thinker that he was extremely intimidating […] people would not write about Blanchot for fear of looking like idiots […] people were afraid of being seen as inadequate…” This is still, I think, true. To read Blanchot is to read interactions – significant, mature, and rich interactions – with great literature, and with literature as a whole. To interact in turn with Blanchot feels presumptuous. One is tempted to fall into either rather superficial rejections or to uncritical fawning. His life seems tied to his work, yet he was so withdrawn it’s as though the very absence of his life that ties them together. He was in conversation with so many authors and thinkers throughout his whole life, and yet he was a nonpresence. This is not to discount the problems of his far right and nationalist sympathies in the 30s and early 40s, even if they gave way sometime during the occupation. Nonetheless, even this period and his subsequent shift add something to the mystery of his writing. The obscurity and flux that exists in these texts. What I draw from Blanchot, from his ruminations on literature and being, on time and death (or its impossibility), is a fascinating investigation of alienation and the possibility of authenticity in life; in community or relation to others (the Other, autrui) precisely through alienation. Blanchot’s politics (after 1940) continually reject authority, and power itself, but does so uniquely in relation to community and individuality. In their investigation of the interplay between Blanchot and Henri Lefebvre regarding the Everyday, Jen Hui Bon Hoa writes: “Blanchot bases his idea of community on recognition of the insufficiency of the individual – an insufficiency that is not to be resolved through relationship with others but embraced in the way it ‘puts [the subject] radically and constantly into question. '” Hoa’s whole essay, “Totality and the Common: Henri Lefebvre and Maurice Blanchot on Everyday Life” is particularly telling of Blanchot’s political possibilities and the richness of his interaction with others. Examining the dialogue Lefebvre’s seminal three-volume work A Critique of Everyday Life and Blanchot’s deconstructive review “Everyday Speech” (collected in The Infinite Conversation) Hoa shows how Blanchot’s critique of Lefebvre’s Critique opens up new possibilities and understandings, even when Blanchot’s criticisms appear to be in opposition to Lefebvre’s work. At the end of the essay, Hoa discusses Blanchot’s collaborative projects (that ultimately did not take off for more than an issue apiece) Comite and Revue International where Blanchot advocates “a model of anonymity produced not by effacing one’s name but by sharing those of others.” The collections of works by various authors are anonymous, but every author’s name is present. Collective action, then, is individual action collected by theme, by concern, but not by a demand or a guiding power. Every action, every text, may be owned, and in that ownership, still shared and claimed by others. It is, as Hoa writes, “a nontotalitarian totality.” Such claims may be accused of being paradoxical, impossible, but what Blanchot reveals is that our life is already paradoxical. His writings are already a claim to other writings, we could (and should) credit Lefebvre here, as well as Kafka, Sade, Weil, and every other writer that exists in this web, this nontotalitarian totality. In this, there is a relationship where individuals are all alienated from one another. Yet, there is the possibility for communal action in this alienation. This understanding that I am not you, that the Other (autrui) is really present in everyone, not in a group. There is a community to be found in widening the gap between myself in Others, in stepping back from those I see as “like me” to see they are truly, absolutely alien. As such, I am alien as well. So “others write in my place, this place without occupant that is my sole identity…” (“The Fragment Word,” Infinite Conversation, 313) Beyond words, beyond literature (such that Blanchot’s work or our modern lives can move beyond literature), this thought seems to have had a resounding effect on modern life, an effect that still possesses untapped possibilities. 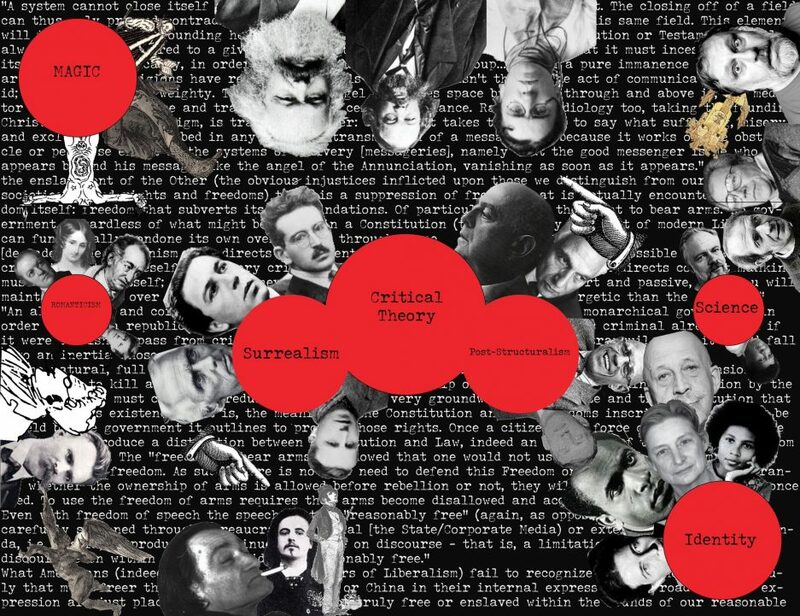 The development of identity politics rises to the call of nontotalitarian totality, a search for collective uniqueness and expression, but also falls flat and often becomes insular and demands a fellowship, a sacredness given to ideas that doesn’t live to the promise of private, yet communal, being. In Blanchot is, I think, a revealing of our lives, of our time, of our potentials and paradoxes that continues to be laid bare. I think that by examining and finding ways to implement such alienation in the community we can move towards a new understanding of political involvement and the everyday. Indeed, a new understanding of life itself. The Jen Hui Bon Hoa link requires Vassar login credentials. Ah, thanks for letting me know. I’ll try and fix that. It is through Project MUSE though so some kind of academic login will probably be required. Wow! Thanks for the share!